Turns out, Jon Snow was right- winter is here! It’s cold, rainy and windy outside, it sure feels like January! Many of us find comfort in warm and creamy soups in this weather. No wonder January is National Soup month in the US. 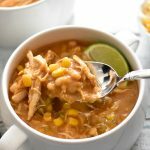 To celebrate, I bring to you, one of my all-time favorite, super easy to make, creamy and delicious, White Chicken Chili recipe. Three Reasons Why This Homemade Chili Rocks! I make this pressure cooker chili a lot on sports nights. I set up the pot and then take my kids out for their classes. By the time we are back, hot and piping dinner is waiting for us. It is a lifesaver chili recipe for times when I haven’t had the chance to do groceries, especially during winter and rainy season. I always keep some frozen corn and chicken in the freezer. My pantry is always stocked with cans of beans, green chillies and stock (Chicken or Vegetable). It is nice to be able to make a tasty and nutritious meal with a handful of pantry ingredients.
. Why? Because I can dump everything in and finish some work in the meantime, without having to babysit the pot. To learn more about the Instant Pot, check out my Instant Pot FAQ and Accessories blog post. ✓ Dump all chili ingredients in, give it a light stir, close lid and pressure cook. ✓ Release pressure after 5 minutes. Remove chicken and shred it. ✓ Using a potato masher, mash a few beans to make the chili thick and creamy. ✓ Add the shredded chicken, garnish with your favorite toppings and enjoy! This recipe is very easy to make on the Stove top too. Simply dump everything in a large soup pot. 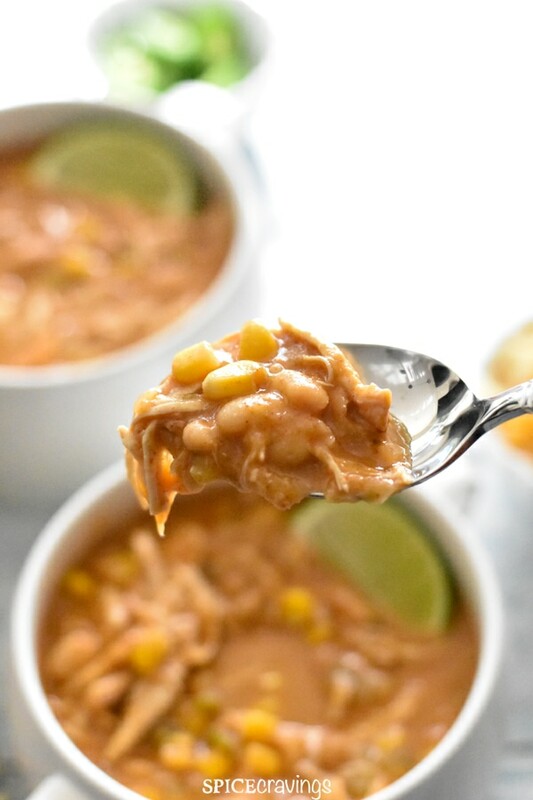 Cover it, bring it to a boil, reduce the heat to medium, and simmer it for 15-20 minutes, or till chicken is tender enough to shred and the beans are nice and creamy. 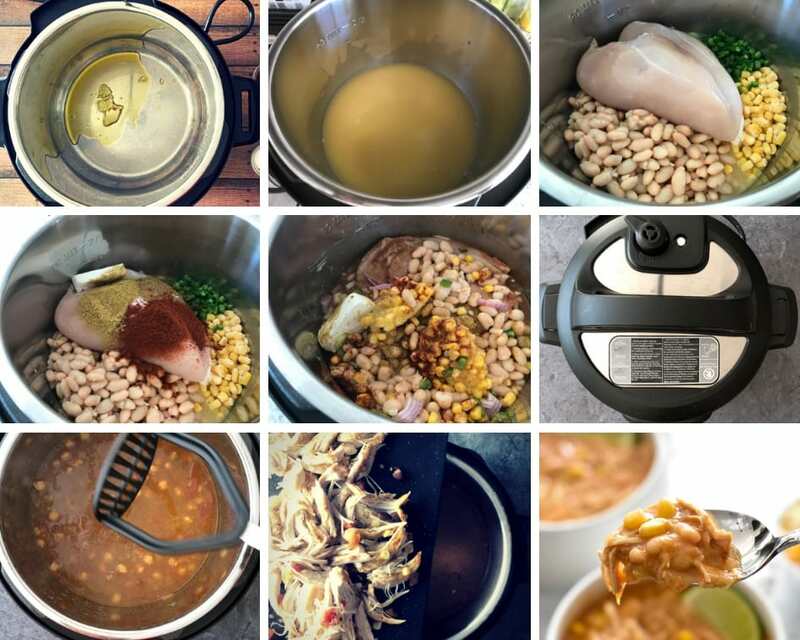 If you are converting this recipe for your stove top pressure cooker, I would cook it for 2 whistles, then reduce the heat to medium and cook it for 5 minutes. Let it rest for 10 minutes before opening the cooker. 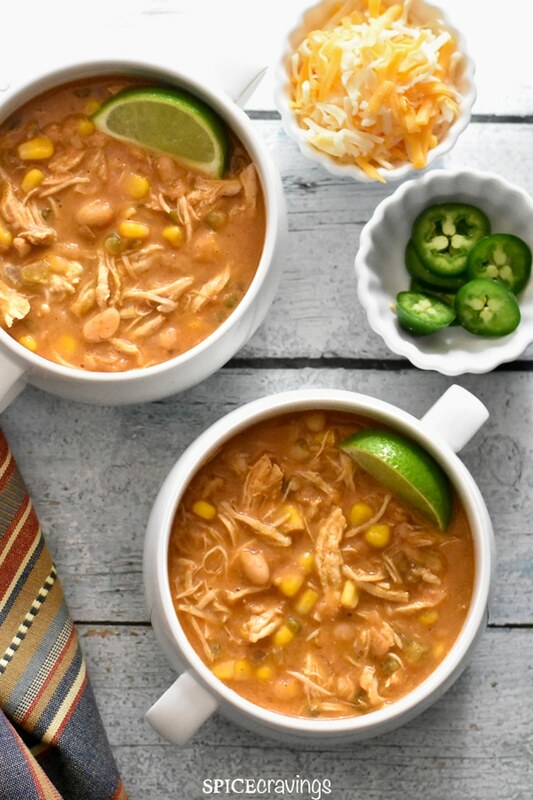 This White Chicken Chili soup is a simple "Dump & Start" recipe. 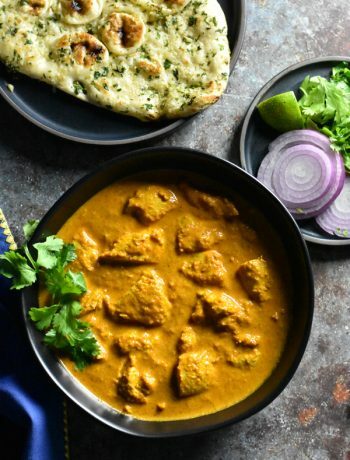 You add all the ingredients in a instant pot and let it do it’s magic. The only work you have to do after that is figure out what toppings you want to put on it. Prep: Rinse and drain beans. Wash and chop celery. 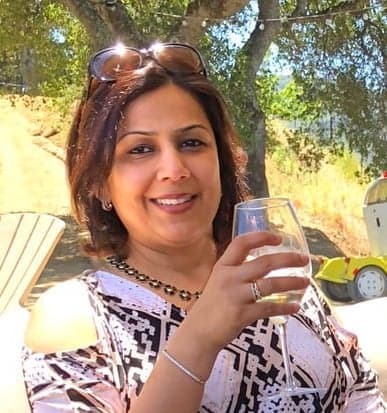 Turn Instant Pot On. Add all ingredients listed under "pressure cook" and give it a stir. Close the pot. Set Manual/Pressure Cook for 4 mins for chicken tenders. If using chicken breast, set 8-10 mins, depending on size; For boneless chicken thighs, set 6 mins. Wait for natural pressure release for 5 mins, and then release remaining pressure manually (QR). Open the lid after the pin drops. Remove the chicken. Using a potato masher, mash a few beans to make the chili thick and creamy. Using two forks, shred the chicken and put it back in the pot. You can even shred the chicken in the pot itself. 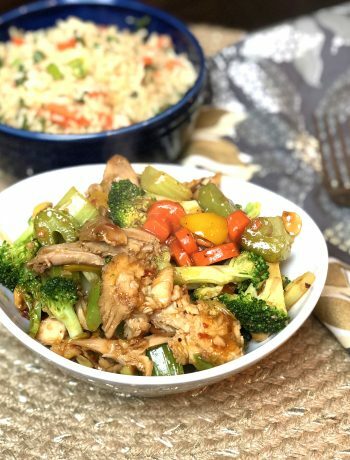 The chicken is super tender at this point, so shredding in the pot is real easy and mess free. Simply dump everything in a large soup pot. 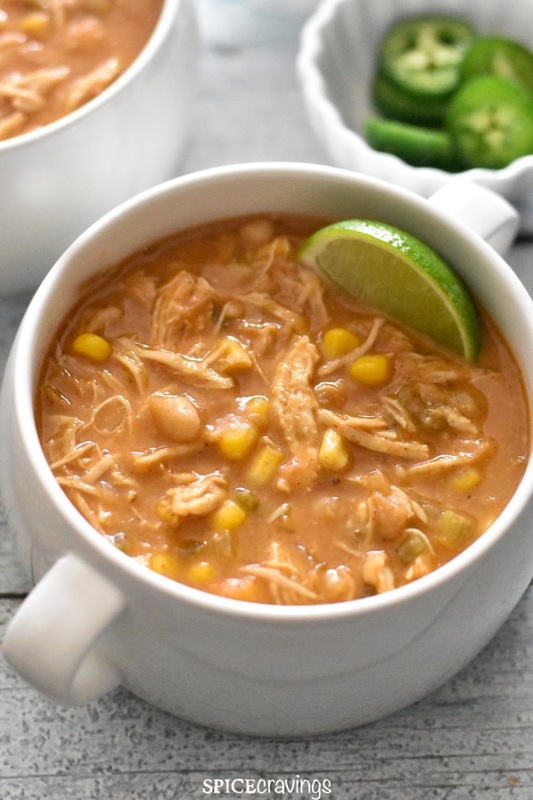 Cover it, bring it to a boil, reduce the heat to medium, and simmer it for 12-15 minutes, or till chicken is tender enough to shred and the beans are nice and creamy. If you are converting this recipe for your stove top pressure cooker, I would cook it for 2 whistles, then reduce the heat to medium and cook it for 5 minutes. Let it rest for 10 minutes before opening the pressure cooker.